It wasn’t long ago that Sony was sitting comfortably at the top of the video game console market with its PlayStation 2. 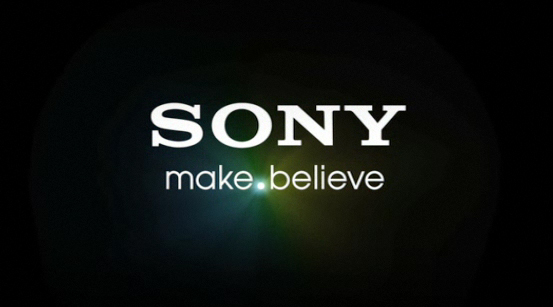 Not only that, but the Sony name was associated with quality products in other consumer electronics such as their BRAVIA TVs, VAIO PCs, and Cyber-Shot cameras. However, almost a decade of competition from companies such as Microsoft and Nintendo in the video game console market and Samsung and LG in the TV market have eroded Sony’s market share. Combine the high competition with stagnant products, security gaffes, and a strong yen, and it’s no surprise that Sony’s stock was recently downgraded to “junk” status by Fitch. Does this spell the end for Sony? No, Sony can still turn things around. CEO Kaz Hirai outlined how he would do exactly that with his One Sony initiative back in April 2012, but I have some other ideas that will help Sony win consumers back and it starts with One Sony, One Platform, One Community. The first step is to retake the video game console market and it begins with Sony’s next PlayStation console. Most of us remember fondly the successful days of PlayStation. The PlayStation 3 had a lukewarm run that is reaching its final stages of life – the console started its run with a high price point and no games before moving on to better games but criticism for the removal of backwards compatibility and a hacking incident. Sony will need to wow a dying console market with its next PlayStation console, which I will refer to as PlayStation Next because it’s unlikely Sony will use PlayStation 4 since the number ‘4’ is associated with “death” in Japanese. Some factors that will help Sony succeed in retaking the video game console market include an attractive price point, backwards compatibility, a stronger PlayStation Network, and new, innovative games. Price point is a bit self explanatory: PlayStation Next should be no more than $400-$500 with $349 being an ideal price for a high end “next gen” console. Consumers have become especially price sensitive to consoles particularly because of alternatives provided by mobile devices such as smartphones and tablets. The PlayStation 3’s initial price of $599 was a tough pill for consumers to swallow even though the console had bleeding edge tech with its Blu-Ray disc drive and Cell CPU. Consumers do enjoy cutting edge graphics and technology but also value a relatively low price point, so finding the right balance of technology and price point in order to minimize loss will be Sony’s main challenge. Backwards compatibility is a huge selling point. If Sony learned anything from the PlayStation 3 launch, it’s that consumers want backwards compatibility in order to play all of their old favorites. The PlayStation 3 started life with PlayStation 2 compatibility until Sony, in an effort to cut costs, removed the PlayStation 2 Emotion Engine completely. Many consumers were angry about this and although the feelings of anger have subsided since then, many consumers still value being able to play their old games. The PlayStation Next should capitalize on this and have PlayStation 3 compatibility. Unfortunately, the chance of this happening is low since the PlayStation Next’s architecture is rumored to be quite different from the PlayStation 3’s Cell Processor. I believe Sony instead needs to make a promise to keep backwards compatibility moving forward and speak more about its position on this issue. It would be perfect if every game purchased on the PlayStation Network worked on every console moving forward. This would spur the growth of digital purchases since consumers will know games purchased digitally will have support in the future regardless of what happens to physical media down the road. Sony made a lot of progress with its PlayStation Network. Its PlayStation Plus service is praised by many users and consumers enjoy the free-to-play online model. Sony needs to continue this but also add more bells and whistles to make its service more of a community. Let’s be honest, PlayStation Home was not successful at all in creating a community. It was a cool idea with video game publishers being able to create their own “parks” and areas, but players saw no real need to be involved in Home. Sony’s next foray needs to address this by adding a space where people can interact with other players. To put it simply, a “Facebook” for PlayStation users. Nintendo’s Wii U has something similar and I think there is merit to the idea. PlayStation Network needs to be more than just a delivery service for games, movies, and music. It needs to have a community attached to it and the infrastructure to support a community of PlayStation gamers. Lots of new, innovative games from Day One is integral to any console’s success. Both Nintendo’s 3DS and Sony’s PlayStation Vita suffered from having a lackluster line up of games at launch. The Vita in particular is a beautiful piece of hardware that is well worth the price, but without games to play, there is no reason to pay what Sony is asking for. PlayStation Next will need to have a slew of games available at launch and the games can’t just be last generation games remade for the new console. The games need to be original and show off what makes the console different from its competitors – whether it’s better graphics, a better user experience, or integration with the aforementioned PlayStation community. Part of succeeding here is providing video game developers with hardware they can easily work with (lots of RAM, a strong CPU and GPU) and creating stronger relationships with developers – provide developers with early development kits, staff to help them understand the ins-and-outs of the new console (I am reminded of how Sony’s own internal studios and partners such as Naughty Dog collaborate with one another to create better titles), and constant support through PlayStation Network infrastructure and the PlayStation community. 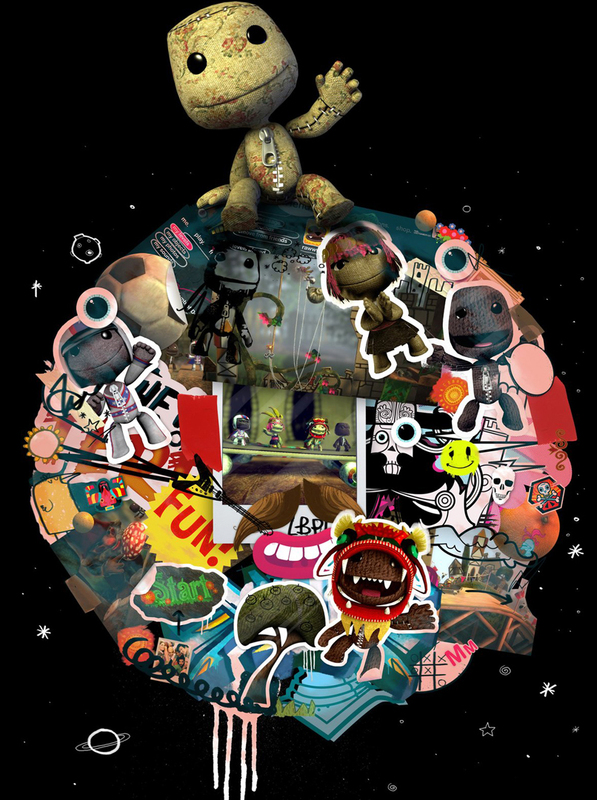 Sony has had a lot of success with indie developers through its PlayStation Network (ThatGameCompany, creator of Journey, Flower, and flOw) and it should continue to nurture these relationships by providing these developers with the tools to create games at a lower cost while providing them with a large PlayStation audience. Next, Sony needs to expand beyond the console market and into mobile. The advent of mobile gaming on smartphones and tablets have created a new set of challenges for the console gaming industry because many gamers have turned away from traditional consoles and have instead embraced this new medium. Sony is in a perfect position to take advantage of mobile with its powerful PlayStation Vita handheld console device but, more importantly, with PlayStation Mobile. 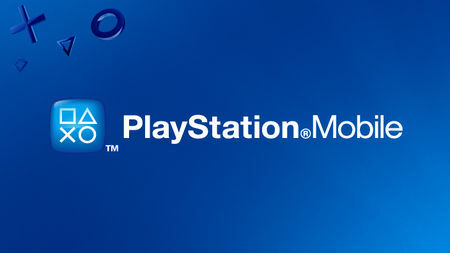 PlayStation Mobile seeks to provide consumers with access to all of their favorite PlayStation One games, but the initiative has fallen short of this promise since the platform only works on Sony devices – PlayStation Vita, Xperia phones, and tablets, and a select number of HTC phones. Expanding support of PlayStation Mobile to HTC’s latest One line was a good first step, but Sony needs to quickly expand hardware support. Some easier targets would be Samsung’s Galaxy line of phones and tablets, Google’s Nexus line of phones and tablets, and, of course, Apple’s iPhone and iPad line. It isn’t only on the hardware side that PlayStation Mobile is failing to measure up on. To date, the app is little more than a curated store for mobile games – not PlayStation game ports. All of us have fond memories of playing PlayStation games and providing consumers with access to this huge library on some of the most popular devices would be a huge competitive advantage for Sony. Consumer behavior has shown that people are willing to spend money on classics if the price is right. Tying PlayStation Mobile to the previously mentioned community of PlayStation gamers will further solidify Sony’s advantage. Creating the community and providing gamers a single place to mingle, download games, music, and movies or stream the content (Sony did acquire Gaikai, a company that streams video games) to multiple devices will leverage not only Sony’s large video game library but also their music and picture industries. Mobile is the future and Sony, if it plays its cards right by expanding its PlayStation Mobile suite to multiple devices, investing in the cloud, and building a PlayStation community, Sony can turn its fortune around and position itself for a mobile future. A common theme has been for Sony to create a community and expanding its presence across multiple devices. What I am trying to get at is a simple word: Synergy. This is what Sony needs to leverage. If a customer buys all Sony, they should be able to enjoy unique advantages similar to what Apple has set up with its iPhone, iPad, and Mac OS ecosystem. 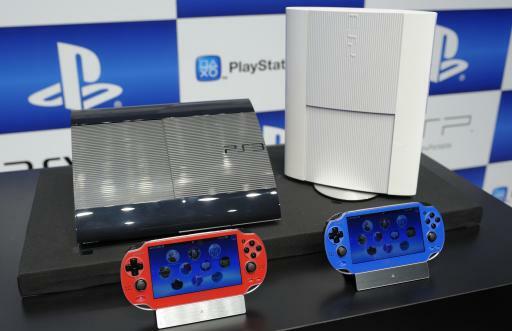 Consumers who buy a PlayStation Next, PlayStation Vita, Cyber-Shot camera, Xperia phone, and BRAVIA TV should also be able to enjoy the synergy of a tight ecosystem. This is where a PlayStation platform and community become important. Sony needs to create a stronger platform for consumers to attach themselves to – expand on the user profiles for PlayStation devices or maybe even provide an option to log in with Facebook or Google. Supplement this platform with the PlayStation community and Sony specific apps such as the previously mentioned PlayStation Mobile. These Sony apps should be install-able across Sony and Sony-certified devices. Imagine a BRAVIA “smart” TV that has PlayStation Mobile on it and allows consumers to play games straight from it through Gaikai’s streaming service. I envision a future where it will be possible to play games from your Vita or your mobile phone and be able to continue your progress from your PlayStation Next or BRAVIA TV. Another use could be seamless “airplay” from the Vita to the TV or from the VAIO PC to the TV. Microsoft was smart when they created their SmartGlass app that lets users control their Xbox 360 via their smartphone or tablet. The mobile device also acted as a second screen, displaying movie information when watching a movie on the console. I would like Sony to create a similar experience that is more integrated and seamless across multiple devices. Another option Sony has is to piggyback on another platform. Android seems to be the easiest choice since Sony already has its Xperia line of smartphones using the OS. Sony can create a “skin” on top of Android that provides a unique Sony experience (such as specific Sony apps and a cross-media bar interface) while keeping Android’s supporting ecosystem of apps. The Vita, in my opinion, failed to capitalize on this potential and even moved away from Sony’s signature cross-media bar user experience. Instead of having a robust library of apps from the Android ecosystem, the Vita needed to create its own set of apps, which has been problematic and slow. The same holds true for the PlayStation 3. However, Sony can minimize this problem by using Android as a foundation, thereby providing app developers with a familiar architecture to code for. This is very similar to what Ouya is doing. One way or another, Sony needs to create a platform of services and a community around its products to create an ecosystem and leverage synergy among its products and services. We live in a mobile world where people enjoy being part of a community and want all of their tech products to work seamlessly together. No doubt, Sony has a long road ahead of them, but I believe Sony has a chance to regain its dominance if it adopts a strategy similar to what I am proposing with One Sony, One Platform, One Community.The world is heading towards mobile and gamers are often the people who pick up the latest gadgets. Gamers were born into a mobile technological world where the expectation is for devices to work well together. Not only that, but because people are on the go, it is even more important to provide a platform of cloud services that provide a seamless, integrated experience across devices. Sony needs to create such a Sony PlayStation platform of services through Gaikai and PlayStation Mobile as well as leveraging other partners such as Netflix, Hulu, and Amazon. More importantly, video gamers are a community of individuals and we want to have a community to congregate around that makes it easy to play games together, talk about our favorite games, and simply meet people with similar interests. Across the internet, there are already smaller communities of gamers. I think about GameFAQs, IGN, Shoryuken.com, Order of the Blue Gartr, TwitchTV, and other communities that have cropped up. Why not provide gamers with an integrated Sony PlayStation community for gamers to be involved in. By keeping in mind what consumers are looking for in an ever growing mobile and technological world, Sony can innovate and return to the forefront. There are many paths to success, but I truly believe gamers are simply looking for a unique, integrated, and seamless experience that takes gaming into the future. That path is One Sony, One Platform, One Community.